Project Zero’s research on Teaching for Understanding helps educators to answer two essential questions: What does it mean to understand something? And what kinds of curricula, learning experiences, and assessment support students in developing understanding? 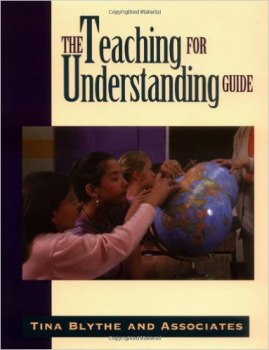 The Teaching for Understanding framework that was developed through this research helps educators take students beyond the simple mastery of facts to being able to apply knowledge flexibly in unfamiliar contexts. The framework helps educators 1) identify topics, concepts, and skills that are worth understanding; 2) frame goals that help students focus on the most important aspects of those topics; 3) engage students in challenging learning experiences that help to build and demonstrate their understanding; and 4) develop assessment practices that help to deepen student understanding.